February is Stout Month! And it’s finally here! 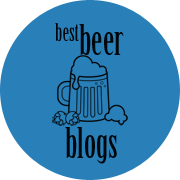 Since the arrival of winter a couple of months ago, most beer drinkers have likely already delved into some of the latest and greatest dark beers with the onset of colder weather. But February is when things really get going, because there is nothing like stout month in Colorado. Some breweries and bars specifically tout “stout months,” tapping numerous stouts throughout the month. 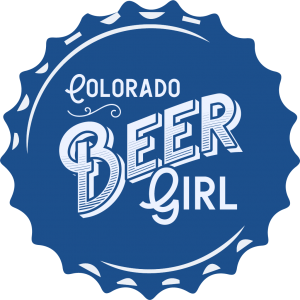 This tradition started 25 years ago with Mountain Sun Pub & Brewery (Boulder, which now includes 4 additional Colorado locations). This custom has carried on since 1993, and others have followed their lead. For example, Resolute Brewing Company in Centennial also celebrates stout month, offering many variations of stout such as American style, Latte Milk, Chocolate Orange, Rum Raisin Imperial, Golden Stout and more. Additionally, several other local breweries are tapping their own as well as numerous guest stouts. So, who’s excited?! It’s Stout Month! Go big! First up, a few barrel-aged stouts. Bull Proof is a collaboration between Odell and Colorado-based Old Elk Distillery. This beer was brewed and then aged in Old Elk Bourbon barrels, giving way to notes of chocolate and caramel, as well as a light smokiness. The finish is very creamy and therefore it does not feel like a 12% beer, so keep that in mind! Where to find it: On draft at Odell Brewing Company and in a 12 ounce bottle at liquor stores across Odell’s 15-state distribution footprint (Colorado, Minnesota, Missouri, Montana, North Dakota, South Dakota, Nebraska, Kansas, Texas, Wyoming, New Mexico, Idaho, Arizona, Illinois and Iowa). This 12% stout was barrel-aged for 12 months in a variety of bourbon barrels, blended then bottled. This heavy-hitter is very boozy (in the best possible way! ), pours thick and has notes of maple syrup. This one definitely packs a punch and is a sipping beer for sure. It’s everything a barrel-aged stout should be, and more! Where to find it: Non-barrel aged version is on tap at Ratio Beerworks. Barrel-aged bottles can be purchased in the tap room and at these local liquor stores: Warehouse Liquor Mart, Grapevine Wine & Liquors, Molly’s Spirits, Toast! Wine and Spirits, Divino Wine & Spirits, Mondo Vino , Mr. B’s Wine & Spirits-Downtown, The Proper Pour, Small Batch Liquors, Argonaut Wine & Liquor, Bogey’s Beer and Wine, Joy Wine and Spirits, Little’s Wine & Spirits, Mile High Wine and Spirits, Craft Beer, Cellar Fort Collins, Wyatt’s Wet Goods, and Craft Alley. This recipe was developed in collaboration with Bodebrown Brewery of Curitiba, Brazil. At 10.5% ABV, this is a complex beer with obvious notes of whiskey and wood. Roasted marshmallow, sweet tobacco, cacao and coffee mingle with your tastebuds providing a delightful finish. If strong, high ABV stouts aren’t your thing, here are a few more, ranging from 5.2-9.5% ABV. At 5.2% ABV, Dust in the Wind is seriously drinkable offering roasty notes with a hint of mole on the nose and a light smoke aroma. With flavors of chocolate and cinnamon, this is a highly drinkable alternative to Guinness. Where to find it: On draft at Call to Arms and all five Mountain Sun Pub & Breweries during Stout Month. Yet another revered reincarnation of Great Divide’s legendary Yeti Imperial Stout, Great Divide toned down the hops to allow cacao nibs to bring out a pleasing bitterness, while vanila notes from the oak combined with the cacao to create an aroma and flavor akin to a gourmet chocolate bar. A dash of cayenne provides a lively finish. Where to find it: On draft and in 22oz bombers at both Great Divide tap rooms, as well as within Great Divide’s distribution footprint. This deep mahogany beauty has a fruity aroma up front that fades to a light roast. Flavors of chocolate dominant the front palate with undertones of earthiness, roast, and bright fruit. This 6.8% medium bodied brew has a velvety mouthfeel that will make you yearn for more. Where to find it: On draft at Maxline Brewing in Fort Collins, CO. 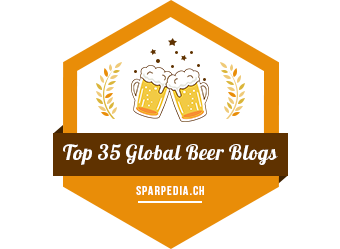 I hope you enjoy these suggestions contribute to your enjoyment of Stout Month. It’s time to get out and about and check out some stouts! It’s great to find another beer girl. I know we’re out there and our numbers are growing! Thanks for following, Traci! Cheers!